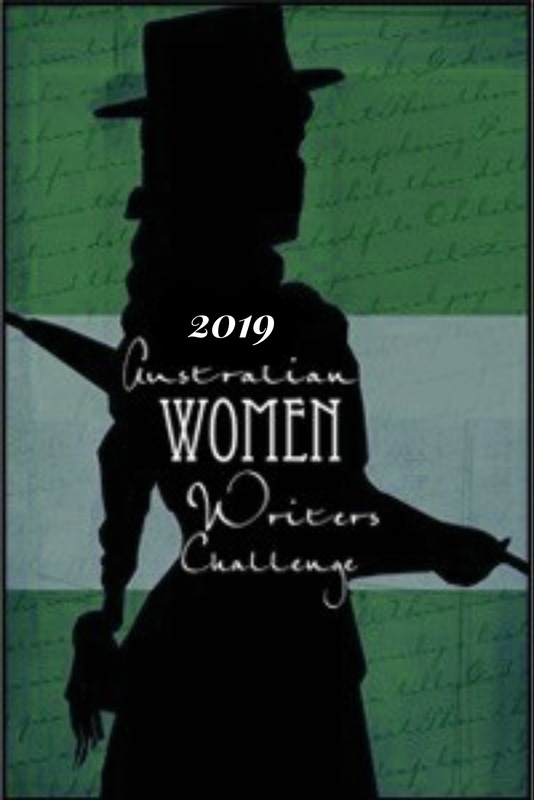 General Fiction is the biggest category for the AWW challenge, accounting for 40% of all reviews submitted during 2016. The total number of reviews of books written for adults was 558; there were of 250 titles by 202 individual authors. You can find the complete list of titles and links to reviews here. As I trawled through this list, I was surprised to see how many titles attracted only one review – 99 books. Of these, the majority were published prior to 2016, with back lists of popular authors featuring prominently. However, 30 were published during 2016. Several of these were self-published or didn’t identify a recognised publisher, but the majority (20) were from big or well-respected smaller publishers. Among them was my own favourite read for 2016, Nike Sulway’s Dying in the First Person, and several other books ranked by participants as 4-star and above, or among their Top 10 reads for the year. 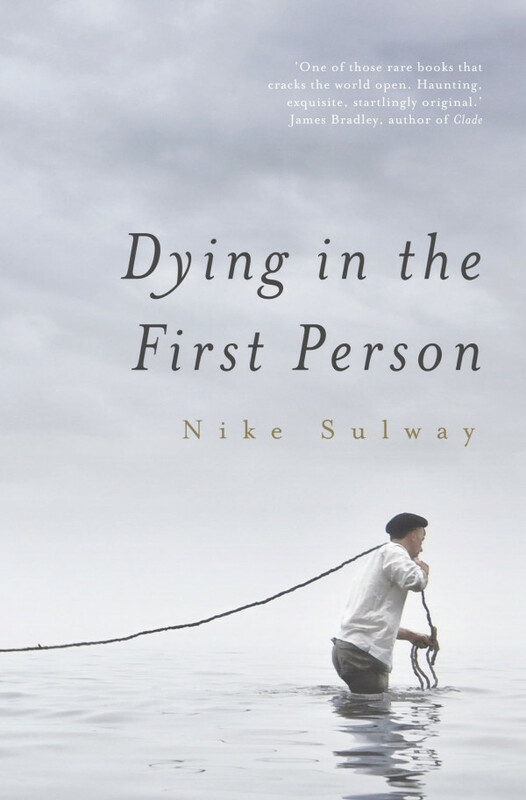 Nike Sulway, Dying in the First Person (Transit Lounge), reviewed by me. This got me wondering: why have these books only attracted one review? How many advanced reader copies were requested or sent to participants? Were the covers a turn-off? Did the cover blurb not appeal? Did people receive and read the books, but not review them for some reason? Perhaps they came out too late in the year, when the reviewing tends to slow down? 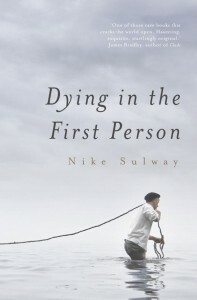 In my case, I did receive a copy of Nike Sulway’s Dying in the First Person, but even if I hadn’t, I would’ve searched for it, having already read and enjoyed her James Tiptree award-winning speculative fiction novel, Rupetta. Was I the only participant for the challenge who received a review copy? Maybe you can help satisfy my curiosity. Have you read of the books any on the above list? It also made me wonder which general fiction books by Australian women were published in 2016 but attracted no reviews at all. If you know of any books published in 2016 by mainstream and reputable publishers that haven’t yet been reviewed for the challenge, do let us know! Now to the books that did get participants’ attention. Dominique Wilson’s That Devil’s Madness (4). When I examined the above list, I realised I’ve read works by 12 of these 20 authors, including six of the books mentioned. I also have another on my wish list. All bar one of the books I’ve read from this list was sent to me for review by the publisher. This raises the question about popularity. Were these ‘most popular’ books those which were best promoted by publishers? Or were reviewers simply more keen to read and review them, perhaps because of the author’s track record or their familiarity with their earlier work? Or perhaps the books were sent, but participants did not find them to their taste and therefore didn’t post a review? Any ideas? Getting back to our stats. Were any of the books mentioned here your favourite read for 2016? Let us know! Trapeze Act by Libby Angel (Text) – debut fiction. As of next month, a new recruit will be co-writing the General Fiction roundups, Katt from Coffee2Words. Unless someone else puts up their hand to take over from me, Lynxie and I will be doing alternative months. If you’re interested in sharing this role with Lynxie, please let us know via our contact page. Happy reading! Good questions Elizabeth. I can start by saying that I received none of the books in either of your lists for review, so I can’t go further on those questions. (I was offered That devil’s madness, but it must have been while I was away and I missed it amongst all the dross emails I get, for which I was sorry. By the time I saw it, months had passed, and felt it would have been cheeky to say yes!) Overall, it looks like I tend to be sent more off-centre books. I am behind in my reading of review copies, but none of these are in that backlog of 10 or so books. It will be interesting to see how others respond to your questions. Thanks, Sue. It’s helpful to know that you weren’t sent review copies. A pity you missed That Devil’s Madness. I’m sure they’d loved for you to review it, even belatedly! That’s interesting – my question – do the reviews encourage anyone else to read (from the only one review list)? Or any of the lists? Personally – the books I read and review – are from a mix of places – requests I make from publishers catalogues (based on known/favourite authors/blurb/reviews/buzz around book) direct requests from authors, direct requests from publishers- who mostly are aware of the type of books I like to read. Good questions, Carol. I know if I keep seeing multiple references to a book (reviews or buzz), my interest is piqued and I’m more likely to look out for a copy in the library. I reviewed one of the “single review” books from 2016 in the General Fiction category, although it didn’t make it on the list – I probably forgot to list the publisher on the form (which is Bloomsbury). The book is Caroline Brothers’ The Memory Stones. I received a copy for review for assignment from an American review publication, but haven’t heard much about it elsewhere. Quite a good book, though, and I’d be glad to read other readers’ takes on it. What genre was that Sarah? I will hunt it down and see if I can find it. It’s on my 2017 list now. 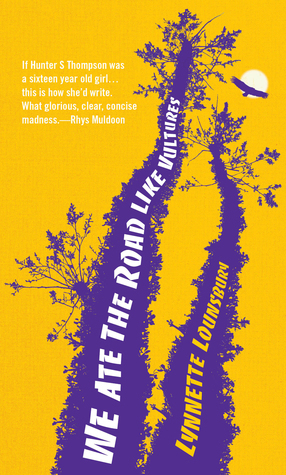 Please nudge and nag me if I find a copy and don’t get around to reviewing it. Hi Marisa, it’s literary fiction about Argentina’s “Dirty War.” Hope you also enjoy it if you get the chance to read it. She also has an earlier novel I should read at some point – it’s not in the database yet. Reading these posts and comments, I feel like I missed out on ‘submitting’ my reviews. I wrote 14 of them, and only 2 of these titles have made it to the lists on this page. Was there a form to submit our reviews that I missed? Hi Kali. Thanks for your participation in the challenge. If you entered links to your reviews via our “Link Your Review” form, as I’m guessing you did, they should be all on the database (you can check on our “book search” page). In this yearly overview, I chose to highlight reviews of books that attracted the least attention, but these are only a very small proportion of the number of reviews overall. With well over 500 reviews submitted for this category alone last year, I couldn’t hope to mention them all. Hopefully the monthly roundup will capture links to some of your reviews this year. Oh no!! I didn’t link any of them. Is it too late to link my 2016 reviews? Done. Throughout the challenge I was using the hashtag on social media to ‘link’ reviews – I didn’t realise we had to submit a form. Good thing I learnt early this year! It isn’t just you Kali, I kept forgetting to do this too and I am part of the AWW team! Maybe we need a big “SUBMIT YOUR REVIEW HERE” pic in the sidebar, Elizabeth? I will add the link as well in my posts so people know where to go. Nice wrap up and good questions Elizabeth. Though I don’t have anything much in the way of answers for you. 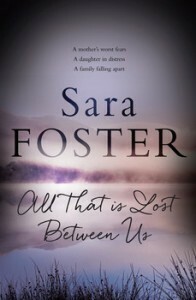 I don’t seek out ARCs from publishers any more as I find it way too much pressure to meet deadlines and other expectations given that my reviewing is purely a hobby to be fitted in amongst a day job and other real life happenings. I’m still on the list for a very few people and will occasionally say yes to their offers but only if it is a book I am sure I will read. Otherwise I’d rather buy or borrow my own copy. That’s what I did with Jane Jabo’s The Wrong Hand which appears in your list of one-off reviews. One of my biggest problems is finding out which books are due for publication/being published so I’m glad to see we now have a form. I hope the mainstream publishers use it as well as the indie ones and self publishers. With bookstores – and even libraries – keeping less titles in stock than ever these days you often have to know what you’re looking for or go with the few books that are being promoted at any one time. Often these are thone ones receiving much promotion or they’ve won an award. Almost all of the 22 books I read for last year’s AWW challenge I had to order in especially which meant I had to know they existed in the first place. I’m with you, Bernadette. I rarely request books and don’t encourage many to be sent, but I’m aware that I’ve missed out on a few because of that. I’m still waiting for some at the library, which makes any potential review hopelessly out-of-date. As for our form for new titles, I can really see the need for this. Unfortunately, this form is just a regular feedback form, rather than anything that integrated into the database. I’d love to have a proper database one that automatically produced a calendar of new releases, but am reluctant to stretch the goodwill of our tech guru. Maybe if we get another sponsorship, we’ll vote it as a priority? Yes I think a more robust database would be a good use of any money we find down the back of the couch. 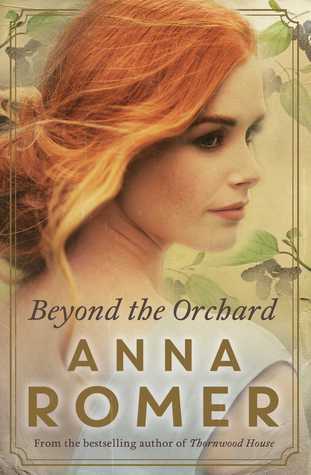 The current one is very good but does have some limitations and I think it’s easy for books to get lost in it. If the form is done via Google Forms, it can go into a spreadsheet that perhaps then can be set up on a page to display nicely and update itself. It may not need a database per se or to be connected to the current one. I will ruminate more on this possibility and let you know. Thanks for all your comments, Marisa. I did try adding a Google form but with this WP.org shell, I couldn’t get it to fit. At the moment, the form goes into our feedback, so at least there’s a permanent record. (As a book blogger) if I’ve requested something from a publisher (for reading and review) I’ll always try to review it. So for me it’s more about my taste (in terms of what I request). I tend to work with mainstream publishers unless I know the writer and my tastes are pretty boring. I’ll occasionally go outside of my genres of interest and find myself pleasantly surprised. I realise I should do that more often and am working on that one. I don’t think your tastes are boring, Deborah! (And I love your reviews.) But I think I get what you mean: your taste is fairly predictable. You pretty well know in advance the kind of book you’re going to enjoy (and the publishers probably have a pretty good idea, too). I need to get some tips from you Deborah on how to get more publishers to send me review copies. Are you on NetGalley? Anything I get from a publisher I do generally also try to review though sometimes (very recently) I had a book and I was feeling a bit awful about needing to say to the publisher that I didn’t think I could review it – ethically it didn’t work for me with that particular title in terms of the content. I try to read within the same genre but in different times/countries as a baby step to moving out of my comfort zone but I agree it can be rewarding. Liz Bryski surprised me for example. Never thought I would find it fun and relatable to read her work but it was. What make me want to review a book? Basically for me anyway, it’s if the book made an impact on me. I’ve read literally thousands of books in my lifetime, but most of my life was spent reading, putting it away when finished and pick up the next book. Before e-readers and online books were available there was no such thing in my world as doing a review. 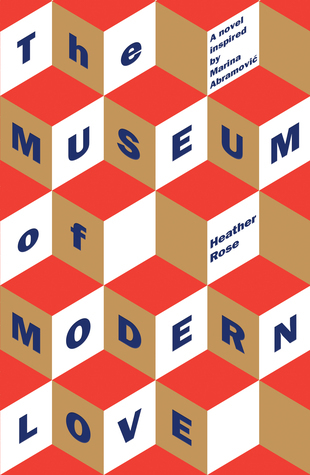 Modern living has changed all that, but a lot of people who are readers still aren’t aware of the impact a review can make on an author or that they indeed can do one if they want. Some people I’ve spoken to think that only professionals review books, much like food and movie critics I suppose. Personally I had to become an author to understand the review side of things. Thanks for your response, Kitty. One of the interesting thing I’m discoveing is the mix of AWW reviewers’ motivations. Kitty, you make a great point about what people are used to doing when it comes to reading books. Of course if you weren’t used to then sitting down and writing out a review once you read a book and that was something a journalist did in a newspaper, it wouldn’t really occur to you or be something obvious or easy to do with modern technology. That is such a great observation. Thank you! 🙂 I agree too that it is far too easy to read and put a book away and not think about reviewing if you are not aware of how much that means to the author. Julie Koh’s Portable Curiosities is one of my top three for 2016. 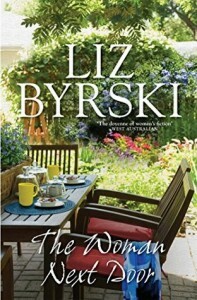 And I also read and surprised myself by loving The Woman Next Door by Liz Byrski. The others you mentioned I have yet to read though there are some well known names there and I think that’s partly why many have read them. I think you will also see more reviews of Julie Koh in the short fic roundup since it is a collection. Why do I choose to review? I generally tend to review all, if not most, of the books I read unless I am in the position where I cannot say anything nice at all about the book. I think the question has two parts: what makes someone pick or get a book to read and what makes someone want to then go on and review it? 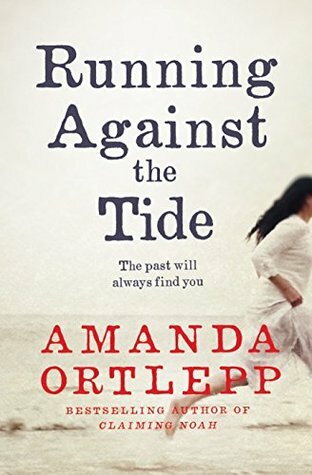 I take your point about do publishers provide review copies – I think you need to be well known and have a significant following as a reviewer to get copies unless you read them via NetGalley or get PDF versions which don’t incur a cost for the publisher. I think the other factor is time if you are going to sit down and write out a piece. 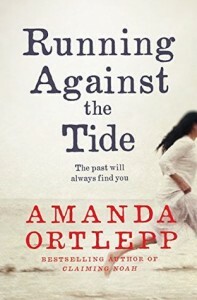 Often I will want to write a review but I will not have the time to do so especially if I don’t just want to give it a number of stars and a couple of lines on Goodreads and want to write out a post. That takes time and I think people may be time poor. I think it also takes time for people to get their name out there and become known enough that they garner more than one review? Perhaps that’s part of it? Especially if they publish later on in the year. 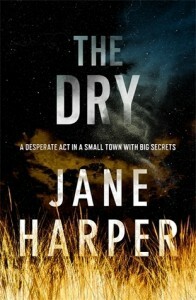 But maybe we have an odd demographic of readers here at AWW – I was expecting Anna Spargo-Ryan’s book Paper House to be on the list of high number of reviews and it wasn’t but it has been reviewed and read and praised extensively throughout 2016 almost everywhere and she has just won the Horne Prize so that is odd to me. I didn’t answer your question: In 2016 I didn’t get advance copies or review copies from publishers – I reviewed books I had bought at festivals and book launches and occasionally in bookstores or that I had got from the library.